At 6" long, and weighing just under .9 T. 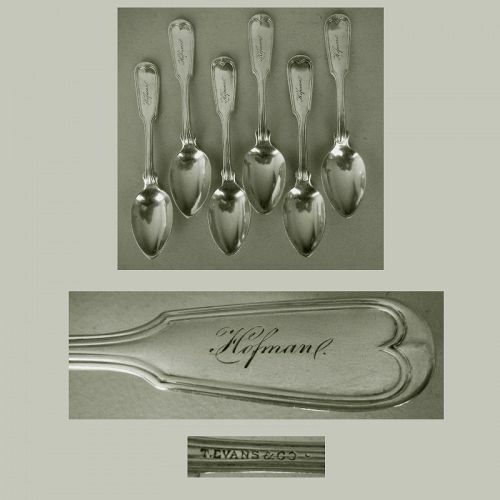 oz., this olive spoon has a deeply cupped, plum-shaped, pierced bowl with scalloped flange shoulders. 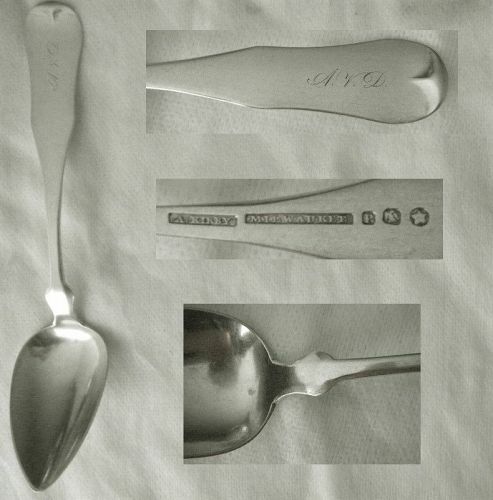 An original, early, production item made by Alvin in the Art Nouveau "Bridal Rose" pattern, the company emblem, along with the words "Patent," and "Sterling" appear on the backside in fine lettering. An appealing multi-motif floral design, this 5 1/2" long, .8 T. 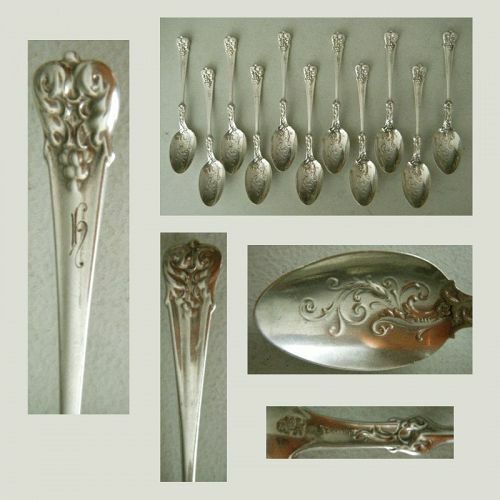 oz., "Majestic" pattern bon bon is further enhanced by its decorative, relatively large, 2 1/2" by 1 7/8", three-lobed, bowl. 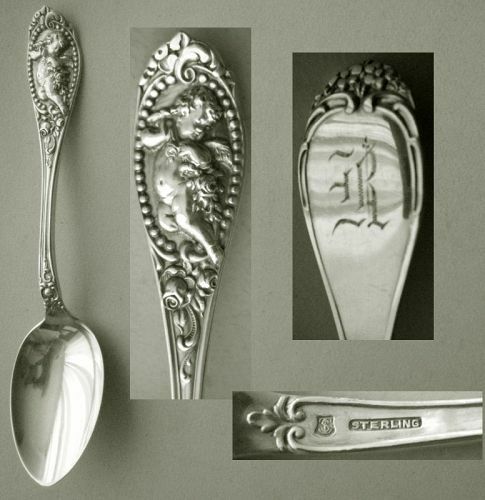 A turn of the 20th century design, it was made by Alvin, whose company emblem and the word "Sterling" is imprinted on the handle backside in fine lettering. Named for the German city with a rich artistic tradition, Alvin's 1903 "Nuremberg" incorporates abundant imagery, the central feature of which is a smiling, slightly devilish looking, jester or gargoyle like figure. 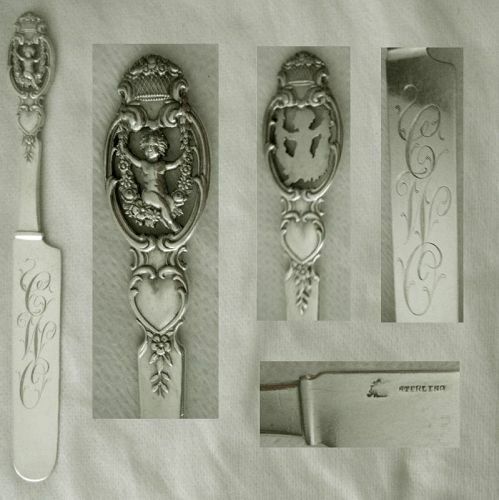 Other elements include flower blossoms, acanthus leaves, a shell, and a fruit or berry at the end of a scalloped edge handle.